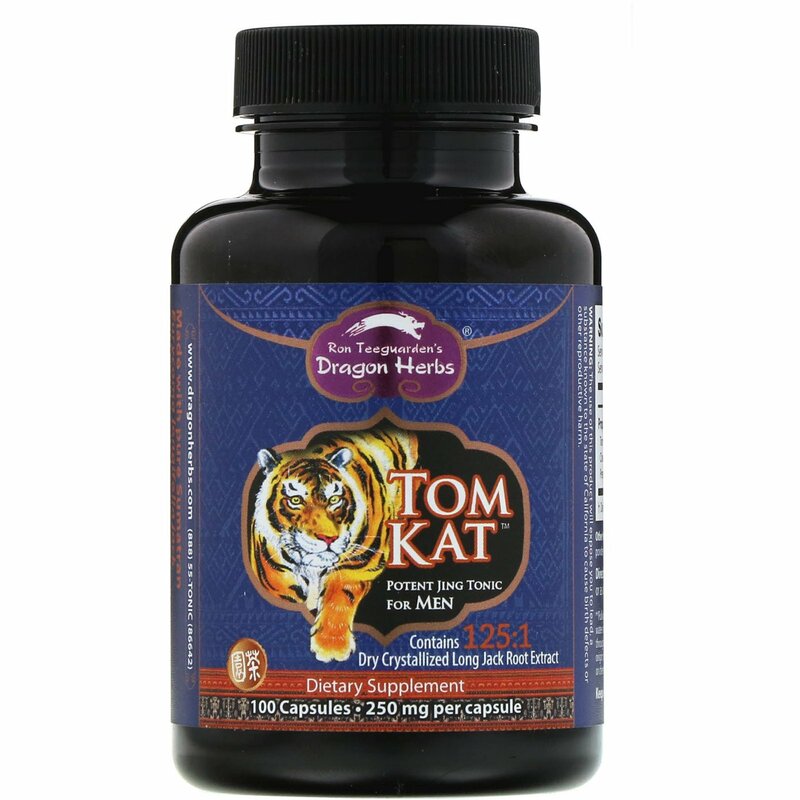 Tom Kat, made from Tongkat Ali (also known as Long Jack - a remarkable tonic herb from Sumatra), Changbai Mountain Ant and He Shou Wu, is a cutting edge and potent Jing tonic for men. 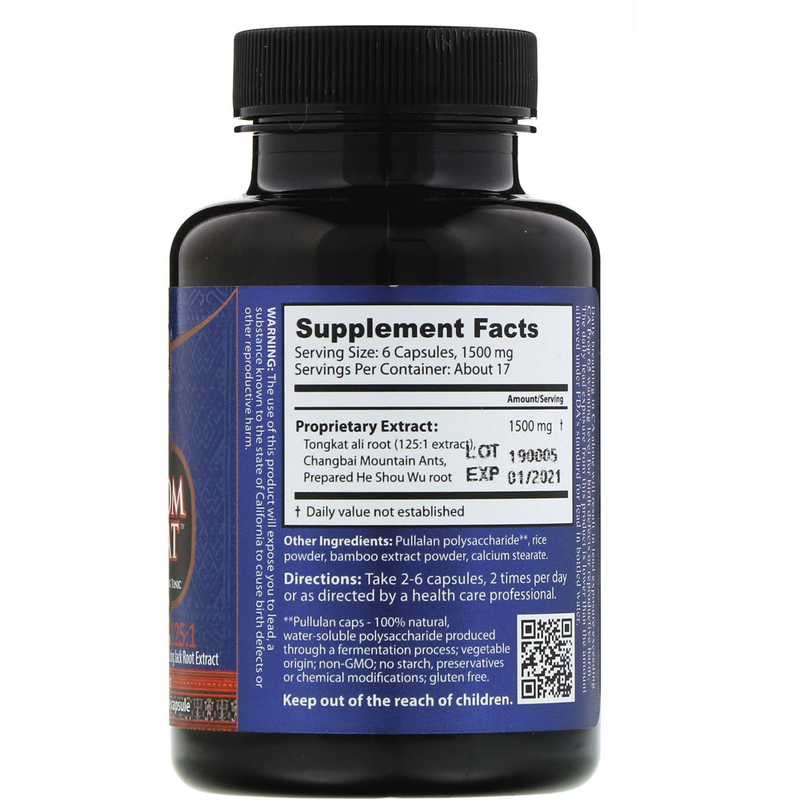 Take 2-6 capsules, 2 times per day or as directed by a health care professional. Pullalan polysacharide**, rice powder, bamboo extract powder, calcium stearate. **Pullulan caps- 100% natural, water-soluble polysaccharide produced through a fermentation process; vegetable origin; non-GMO; no starch, preservative or chemical modifications; gluten free.